A significant part of boosting your reputation on Instagram is first knowing what type of audience you’re trying to reach. Although Instagram’s audience is massive and stretches across numerous demographics, the predominant audience is slightly younger; in fact, as noted by Pew Research, 71 percent of 18 to 24-year-olds are on Instagram, proving that if you want to reach Gen-Z, then this is the first place to start. Learning how to grow Instagram followers is part statistics and part storytelling. When looking at building your audience, the first thing you need to look at is what type of audience you’re after, as well as what type of story you believe will resonate with them. Part of this includes looking at how your current brand sizes up in comparison to what’s in the industry, including the specific audience of your competitor versus your brand. Your goal should be to start as targeted as possible, followed by expanding out to a wider audience. As you get to know whose gravitating towards your brand more, be open-minded and observant of those who you might not expect, as it might surprise you on who finds value in your brand. Another important aspect of boosting your audience is by honing in on engagement. If you’re not familiar, this is essentially the amount that people like or comment on your posts, as well as what you interact with on others as well. Not only is engagement relatively intuitive on Instagram but perhaps the most popular medium, because as noted by Invespcro, the platform has an engagement rate of 4.21 percent, which is significantly higher than any other medium. However, the goal for engagement isn’t to have a lot of comments and likes but to ensure that they come from quality users. The biggest difference in quality engagement is genuinely getting a dialogue going around your brand. This can often be accomplished by posing questions or statements that encourage feedback, for example, posting a fall-themed post and asking what your audiences favorite fall activities are. Try to make these as on-brand as possible, falling within the bounds of why people gravitate towards your company in the first place. A significant part of engagement is making sure that you keep up with posting consistently, which is why you should keep a calendar of when to post, focusing on a variety of content. Although it seems minute, tagging your posts on Instagram can make a pretty significant difference. Posts tagged with locations see increased engagement. Why is that the case? Because tags are the origin point of discovery; for example, when we want to see if the food at a restaurant is good, then checking the location tag to see what other people posted can give a more accurate description, and a practice you should implement. While we’re not suggesting you tag every location you might explore, it is an important component to showing where you’ve been. Furthermore, if you’ve started to gain a significant following, then location tagging can be a great form of bringing in paid advertising as well. Beyond locations, tagging partners is also a smart move as well, giving your brand a co-sign from others. With tags, the primary goal should always be to increase inbound traffic, pulling from as many sources (without cheapening your brand) as possible. Finally, when it comes to wondering how much or how little you should post, there’s no real rhyme or reason as to a set quantitative amount. Instead, think of posting more of the content you’re trying to deliver to your audience, especially with the multitude of delivery mediums Instagram offers (posts, stories, and IGTV). 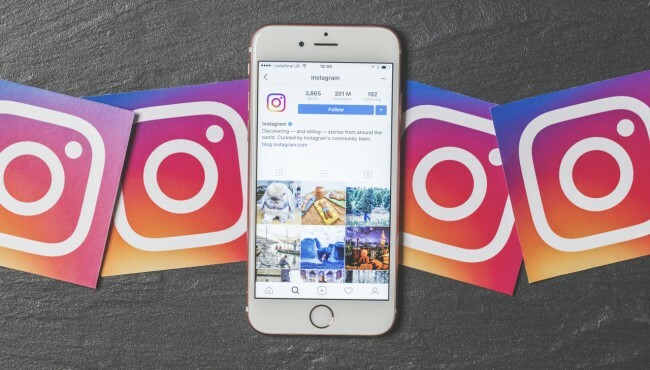 As noted by Hootsuite, 38 percent of users check their Instagram multiple times per day, which, (especially for stories), means there’s plenty of opportunities for you to capture an audience. All it takes it establishing and strategizing your content plan. A big part of content planning is first looking at your content calendar and goals. For example, if I’m trying to land more sponsorship from clothing companies, then focusing more on lookbook style photos would be most advantageous, varying up between stories and main posts per each series. Brainstorm a few different actionable content themes you can focus on a series of posts under, being mindful of what your audience is generally after. While content planning can be difficult, it’s also going to be what keeps you consistent, and thus, continuously growing your page to be stronger and stronger. What are some ways you’ve been able to boost your reputation on Instagram? Comment with your insights below!